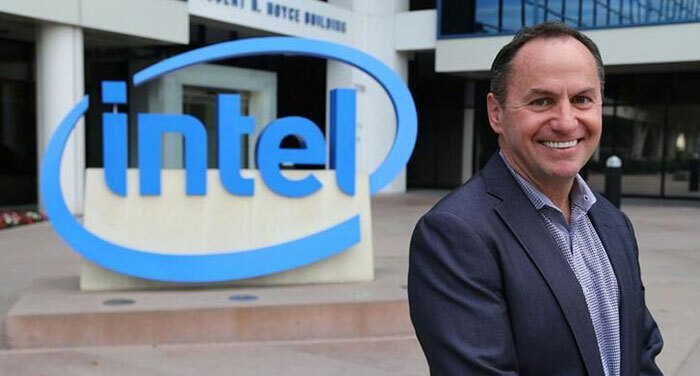 Yesterday Intel announced that it had chosen Interim CEO Bob Swan (58) to be promoted to full chief executive officer (CEO) status. 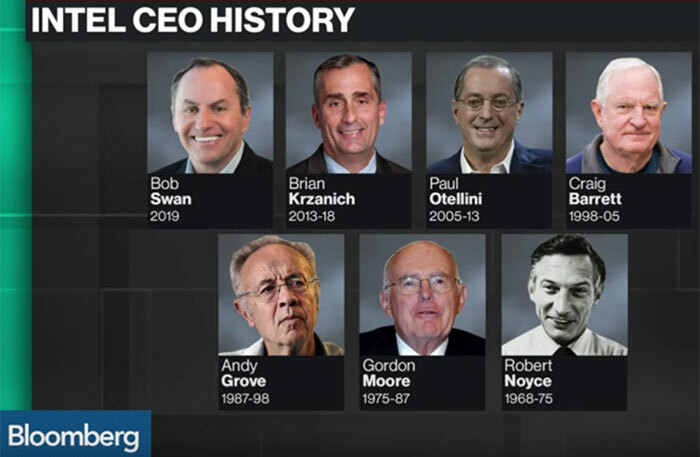 Thus Mr Swan becomes Intel's 7th CEO in its 50 year history. Swan has also been working at Intel as chief financial officer (CFO) since 2016. Now the firm has started its search, internally and externally for someone to fill the vacancy of CFO. Meanwhile, Todd Underwood, VP of Finance and director of Intel's Corporate Planning and Reporting, will step in as Interim CFO. Swan's appointment was supported by praise from Intel board members including Chairman Andy Bryant, who said Swann was the "right leader to drive Intel into its next era of growth". It is expected that Swan continue to deliver growth in current businesses and expand into new opportunities. The PC business is still central to Intel and must provide value to the company, but Intel also wants to prosper in areas such as data centre, artificial intelligence and autonomous driving. Intel graphics chief (SVP of the Core and Visual Computing Group), who starred in a discrete GPU promo video with Bob Swan very recently, also had plaudits for the new CEO. In a Tweet, Koduri humorously explained "Engineers and architects @intel appreciate and love Bob's clarity, focus, openness and the passion for technology. He is great with numbers - and engineers love numbers! Looking excitedly forward." Talking for himself in the press statement, Swan gushed that "this is an exciting time for Intel." He went on to claim that 2018 was "an outstanding year" and that the "biggest market opportunity ever," is ahead of Intel. If you want to know more about Bob Swan, and his history, you can have a quick read of his official biography page at Intel, and there's a LinkedIn page available too with the usual experience and education categories. Insummary thogh, ahead of Intel, Swan's longest roles were at eBay and GE Lighting (9 years and 14 years respectively). At both these organisations he worked as the CFO. The market reaction wasn't great, with investors "muted to negative" regarding the appointment. The FT notes that Swan has been a successful CFO with several big companies but in his only previous tenure as CEO (at Webvan), the company burned through millions of dollars before going bust. Another interesting point is that Swan's six predecessors have been engineers and semiconductor specialists but Swan's background is more financial. Intel shares sank by 0.9 per cent in the wake of Swan's CEO appointment news. Meanwhile, AMD shares were up 5.7 per cent yesterday.